Let me start by saying that I enjoy many aspects of Peter Jackson’s Hobbit trilogy. Overall, however, I felt that the story was spoiled by an interminable running time, unengaging plot tangents and constant narrative filibustering. What especially saddened me was how Bilbo (the supposed protagonist of the story) was rendered absent for large portions of the final two films. Back in 2012, I had high hopes of adding The Hobbit to my annual Lord of the Rings marathon, but in its current bloated format, I simply cannot see that happening. The investigation of Dol Guldor has been completely excised, including the appearances of Radagast, Saruman and Galadriel. This was the most obvious cut, and the easiest to carry out (a testament to its irrelevance to the main narrative). Like the novel, Gandalf abruptly disappears on the borders of Mirkwood, and then reappears at the siege of the Lonely Mountain with tidings of an orc army. The Pale Orc subplot is vastly trimmed down. 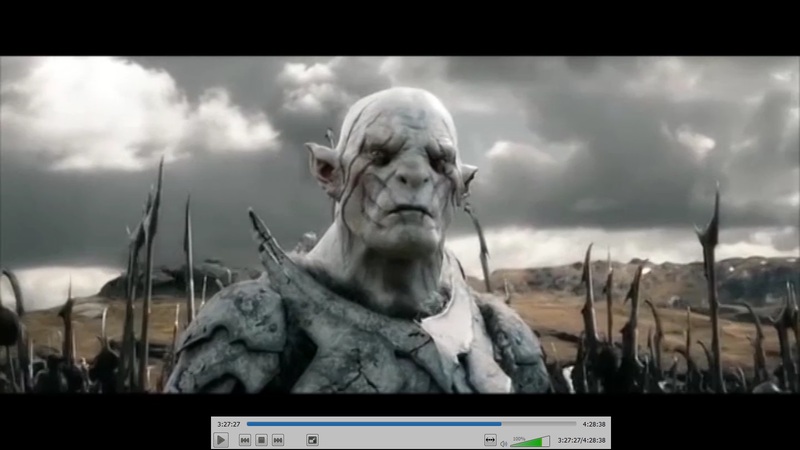 Azog is obviously still leading the attack on the Lonely Mountain at the end, but he does not appear in the film until after the company escapes the goblin tunnels (suggesting that the slaying of the Great Goblin is a factor in their vendetta, as it was in the novel). Several of the Laketown scenes have been cut, such as Bard’s imprisonment and the superfluous orc raid. However, I’ve still left quite a bit of this story-thread intact, since I felt it succeeded in getting the audience to care about the down-beaten fisherfolk and the struggles of Bard to protect them. The prelude with old Bilbo is gone. As with the novel, I find the film works better if the scope starts out small (in a cosy hobbit hole), and then grows organically as Bilbo ventures out into the big, scary world. It is far more elegant to first learn about Smaug from the dwarves’ haunting ballad (rather than a bombastic CGI sequence). The prelude also undermines the real-and-present stakes of the story by framing it as one big flashback. Several of the orc skirmishes have been cut. I felt that the Battle of the Five Armies provided more than enough orc mayhem. If you pack in too much before then, they just become monotonous, and it lessons their menace in the audience’s mind. I was tempted to leave in the very first Azog confrontation (since it resembles a chapter from the novel), but decided to cut it for a variety of reasons. 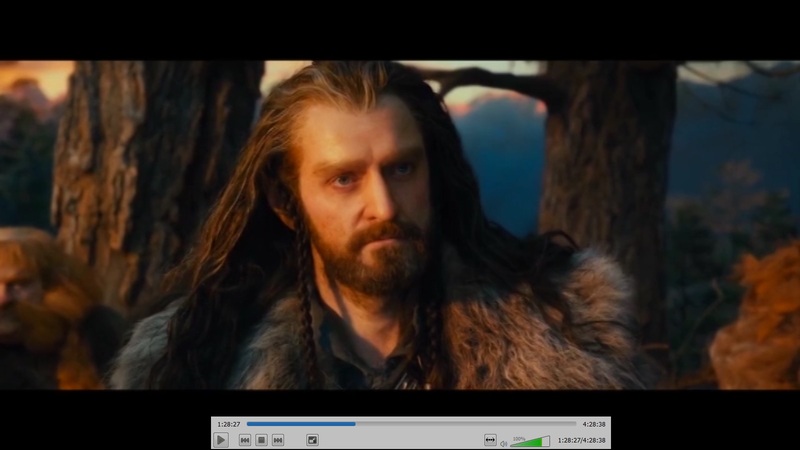 Specifically, I found it tonally jarring to jump from the emotional crescendo of Thorin being saved by Bilbo (and the sense of safety the company feels after being rescued by the eagles), straight back into another chase sequence. Plus, I think the film works better if Bilbo is still trying to earn Thorin’s respect the entire journey, as he was in the novel. 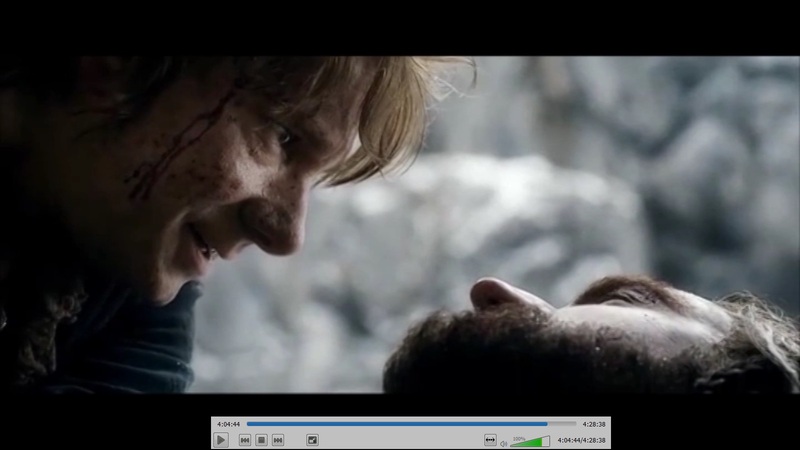 Not to mention the absurdity of Bilbo suddenly turning into John McClane with a sword! 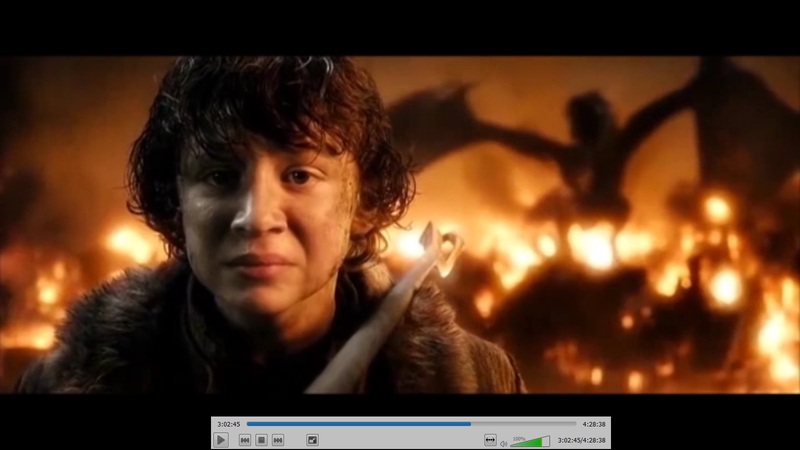 Several of the action scenes have been tightened up, such as the barrel-ride, the fight between Smaug and the dwarves (no molten gold in this version), and the Battle of the Five Armies. Though, it should be noted that Bilbo’s key scenes—the encounter with Gollum, the battle against the Mirkwood spiders, and the conversation with Smaug—have not been tampered with, since they proved to be excellent adaptions (in no small part due to Freeman’s performance), and serve to refocus the film on Bilbo’s arc. A lot of filler scenes have been cut as well. These are usually harder to spot (and I’ve probably missed a couple), but once they’re gone, you’ll completely forget that they ever existed. 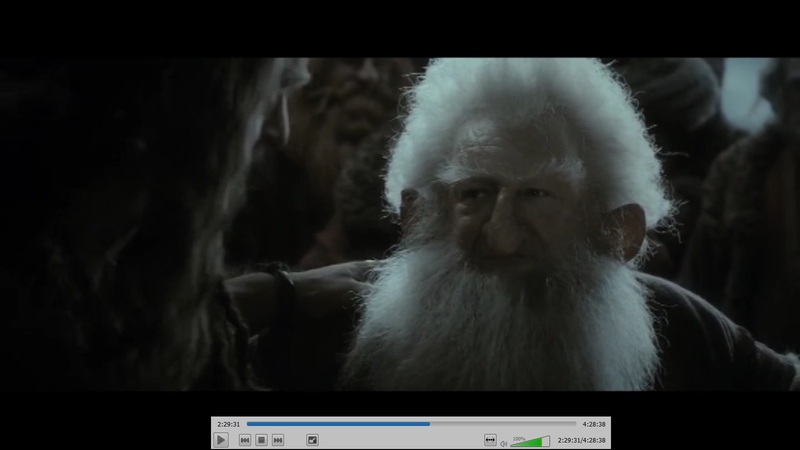 For example, the 4-minute scene where Bard buys some fish and the dwarves gather up his pay. My main goals in undertaking this edit were to re-centre the story on Bilbo, and to have the narrative move at a much brisker pace (though not so fast that the audience lost grasp of what was going on). Creating smooth transitions between scenes was of particular importance in this regard. I even reordered a few moments in the film to make it flow better. The toughest parts to edit were the barrel-ride and the fight on Ravenhill (since Legolas and Tauriel kept bursting in with their gymnastics routine). If you have any further questions over what was taken out and what was left in, please post them in the comment’s section. 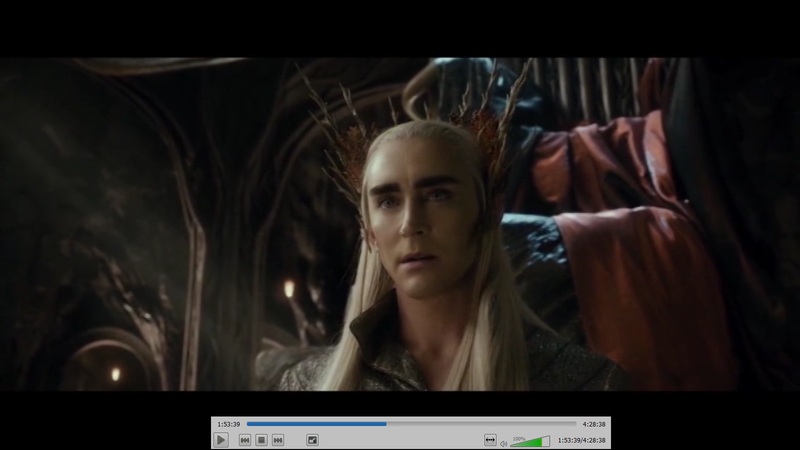 If you would like to download the movie, then simply add this torrent to your BitTorrent client. This is the final version of the fanedit, and is 6GB. However, if you would prefer a smaller file-size, you can also download the lower-resolution 2GB version, by using this torrent. If you do not have a BitTorent client, I would recommend installing μTorrent. This was a labour of love, so please share and seed. And feel free to reupload the video and post your own links wherever you want (including the comments section). Now, I do want to temper people’s expectations for the 6GB version. Considering the difference in size, the quality isn’t dramatically better. Rather, it is somewhere between a DVD and Blu-ray. The screenshots above are a good indication. That said, the image is sharper, and the colours are a little more vibrant, so it’s probably preferable for people who would like to watch the fanedit on a big-screen TV. Either way, you can click the links above to access it. Thanks!! If you stumble across any more articles, reviews or podcasts, feel free to post them in the comments. Now that the torrent for the fanedit is bouncing along healthily, and comments are petering off, I’m going to be taking a break from the site. However, if people continue to submit subtitles for the film, I’ll happily keep adding them to the list. 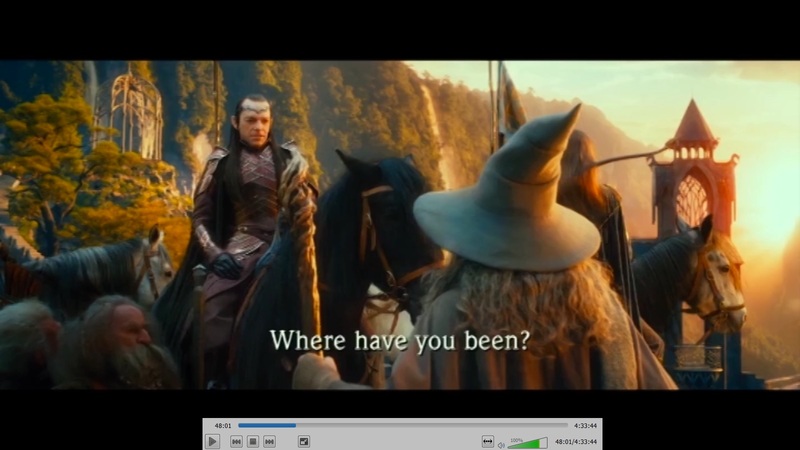 As I’ve mentioned a few times, I will be releasing a follow-up fanedit, focusing primarily on Gandalf’s story and the investigation of Dol Guldor. 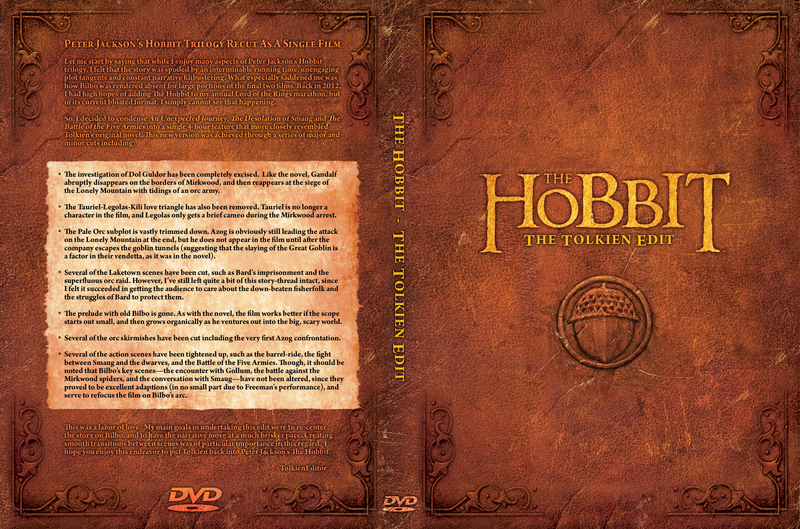 The editing for the first two films is completed (clocking in at a feature-length 80 minutes already); however, I will be waiting until the extended edition of The Battle of the Five Armies is released, before I add it to the site. I think you’ll be surprised by how well Gandalf’s story works as a movie unto itself, albeit a much darker, creepier, more psychologically daunting movie than Bilbo’s adventure romp. You can follow @TolkienEditor on Twitter for any future updates. Thanks so much for all of your lovely feedback, heartfelt support and creative contributions.